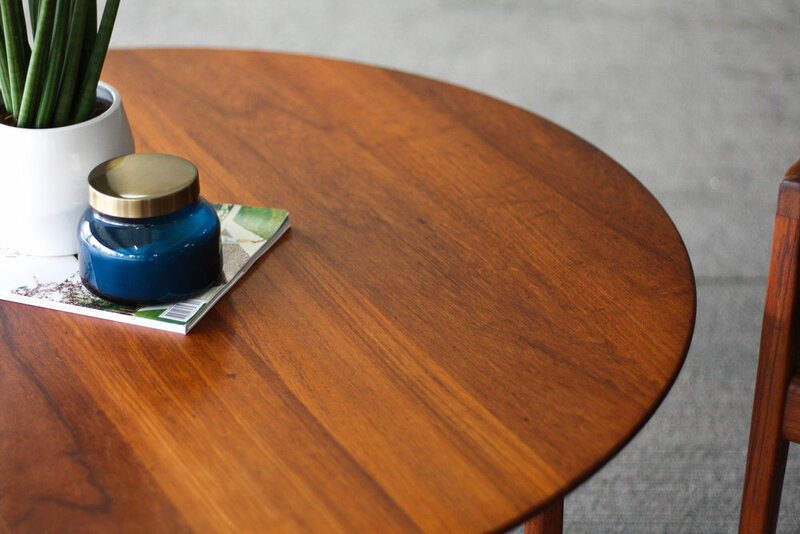 Solid teak coffee table designed by Peter Hvidt and Orla Mølgaard-Nielsen and manufactured by France and Son. Table has the harder to find sled legs. Condition is excellent. No frills. No fluff. Just great design. 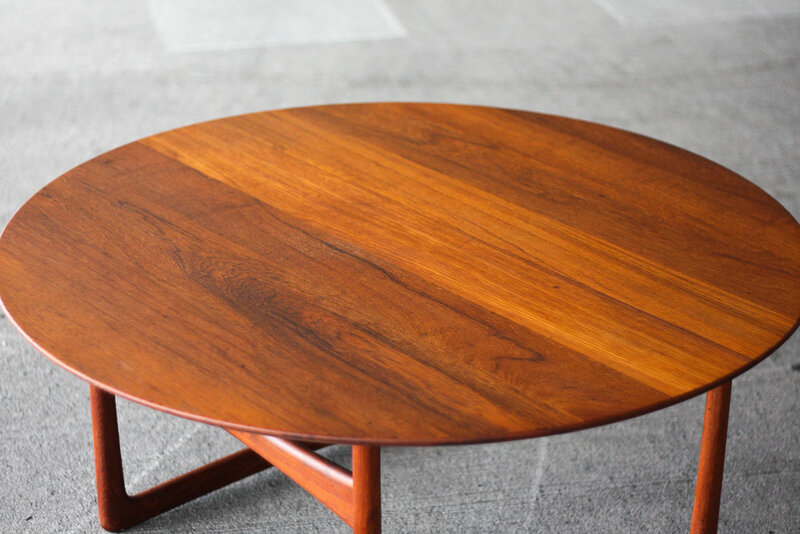 The table features stunning teak grain throughout the table top and knife edge with various shades or red, orange, and brown highlighted. 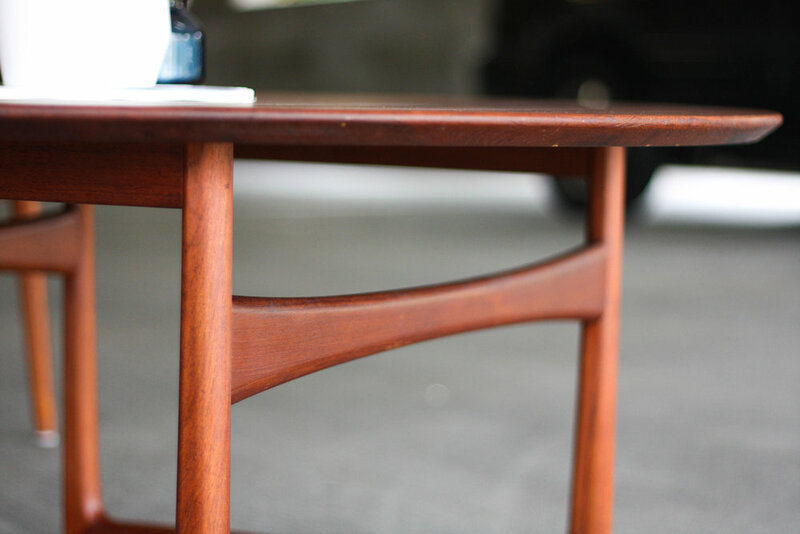 Solid teak sled legs have an amazing sculpted look. The legs can be removed to accommodate safe/easy transporting. Very good vintage condition with expected patina and imperfections for a 60+ year old piece. 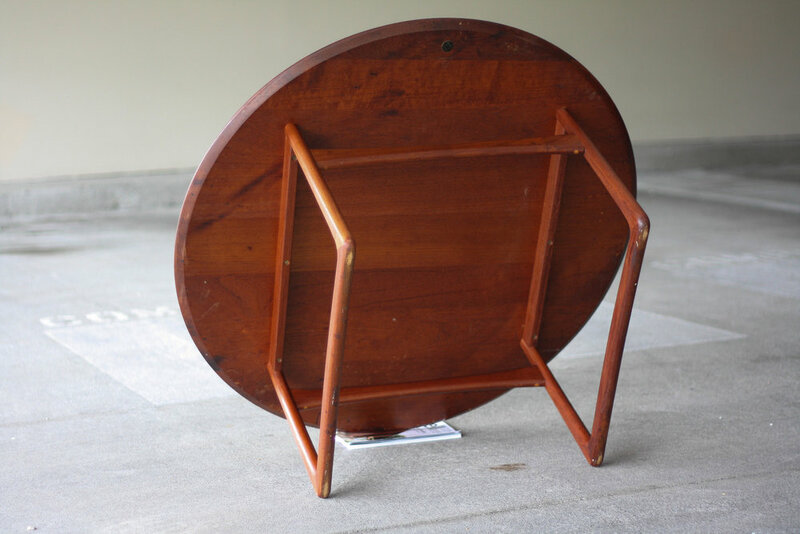 Please see photos as they show all angles of the table and top and do a far better job showing you the table.